Winston Churchill was born upon 30 November 1874, in Blenheim Palace at Oxfordshire. His father, Lord Randolph Churchill, was descended from the First Duke of Marlborough. And Clementine Churchill was his wife. Although achieving poor grades at school, his early fascination with militarism saw him join the Royal Cavalry in 1895. He was a British politician, army police officer, and author. As a soldier and also part-time journalist, Churchill travelled commonly, Cuba, Afghanistan, Egypt and also South Africa. He was Prime Minister of the United Kingdom from 1940 to 1945 and also again from 1951 to 1955. 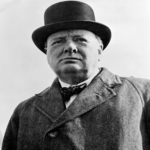 As Prime Minister, Churchill led Britain to success in Europe in the World War II. Churchill was elected as Conservative MP for Oldham in 1900. 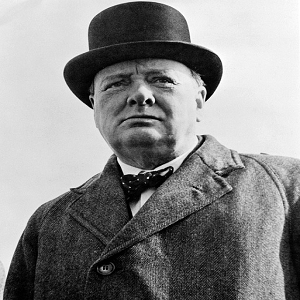 Sir Winston Churchill won the Nobel Prize for Literature in 1953 for his six-volume history of World War II. Churchill died in 1965 and was honoured with a state funeral. From what country did Winston Churchill’s mother come from ? In 1899 Winston Churchill escaped a Prisoner of War camp in which country ? In what year did Winston Churchill cease to be Prime Minister for the last time? Which of the following Political Parties was Winston Churchill never a member of? Which modern text-speak phrase’s first recorded use is in a letter sent from Admiral John Arbuthnot “Jacky” Fisher to Winston Churchill? For which University was Winston Churchill a Chancellor? How many times did Winston Churchill receive the “Freedom of the City” from a town or city? What did Winston Churchill get a Nobel Prize for? It was awarded for his mastery of historical and biographical description. In 1944 Winston Churchill introduced the Education Act which raised the school leavers age from 11+ to what?